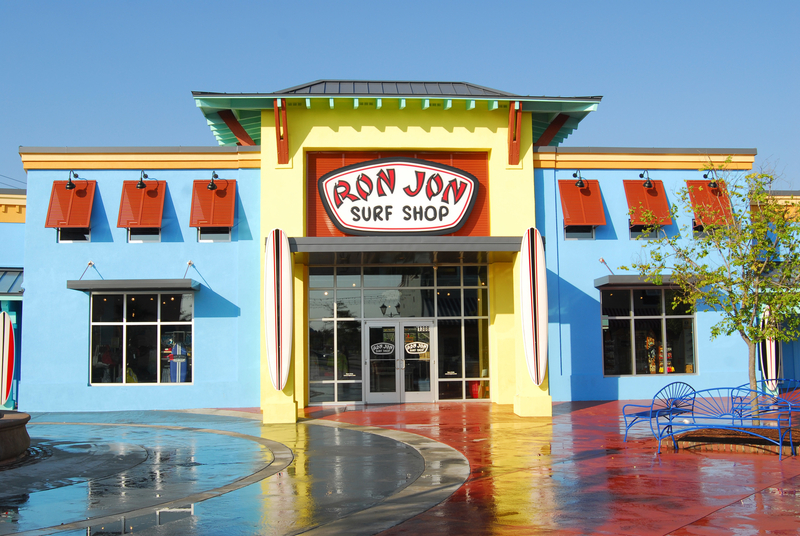 Ron Jon Surf Shop’s second Myrtle Beach location is in Broadway at the Beach’s 350-acre entertainment complex. The 7,500 square foot ocean blue and yellow store is accented with surfboards on its exterior walls. 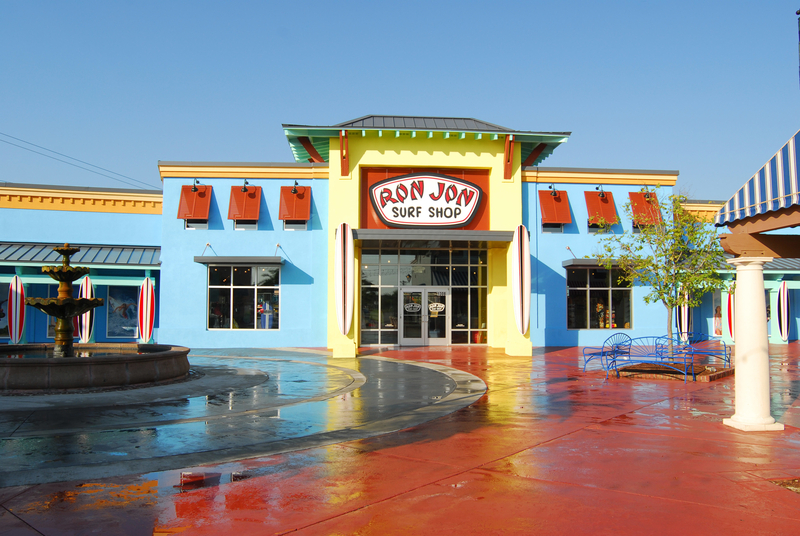 Ron Jon is the place to get everything you need for a day at the beach.